This post covers how to book a Disney hotel at Walt Disney World while spending the least amount possible. For the most part, this post isn't about picking the cheapest hotel or best hotel for the price, it's about helping you find the best rate for the hotel once you've picked it. To get the best deal on your Disney World hotel, you'll need to do a little bit of prep work. To really get the best rate, you'll need to compare a number of options. We prefer Google Sheets, but Microsoft Excel, Apple Numbers, or any other similar system will work. A simple word processor will work for the most part, but because some packages include tickets, you may need something to do some quick math for you. You'll need a baseline in conducting your search, and Disney itself is the place to start. Visit the Walt Disney World website and see how much Disney is charging for your selected dates. Remember, Disney hotel rates vary by date and change as availability comes and goes, so your specific dates are important. Additionally—and this is very important—you need to make sure you click into specific hotels to be sure you’re seeing the best prices. The Disney World website does not always show the lowest prices for individual hotels on its search results page. Disney doesn't tell you the total with tax until you actually add the stay to your cart (generally, it’s 12.5%). Add to you cart, and then select "No Ticket" at the add-on screen. That amount is the actual total for your stay, with tax. We don’t want to bury the lede, and this will only work on certain hotels, but we absolutely need to highlight it first because of its high potential savings. Undoubtedly the best way to do a villa stay for a discounted amount is to rent Disney Vacation Club points or book a fixed Disney Vacation Club reservation. These options require the most flexibility or, in the case of high demand rentals, really far advance planning. We recommend visiting David's Vacation Club Rentals for the best deals. We reviewed our experience with them in an earlier post. There are a wide range of deals available to the general public. Most readers are probably going to book one of these deals, so we'll start with them. If any deals are available, note them. They'll show up when you search for a specific date range. Or you can just view all available offers on the Walt Disney World offers page (but remember they may be out of availability on your dates, though). Remember that something like "free dining" is only a deal if you'll actually get use out of it and if you can't find a good enough rate using one of our other options. If there are package discounts, you'll need to compare the package price against other hotel booking options combined with discounted Disney World park ticket prices. The past is not always a good predictor of the future, but Disney does tend to recycle the same deals at about the same times each year. Check the MouseSavers table of historical deals for an idea of what might be coming up. If Disney is offering a competitive rate, remember that by using discount Disney gift cards you can usually save about 8 to 10%. We think you can usually beat this (or at least come close) using some other methods, but you'll want to keep it in mind. Whenever we start planning to book a Walt Disney World trip (or any trip, really) we search all the following sites for the best rates: Kayak, Priceline, Expedia, Hotels.com, Undercover Tourist and Booking.com﻿. There are a wide range of programs/clubs (Disney and non-Disney) that have access to special Disney World Hotel deals. If you are already associated with one of these, or if you can sign up, you'll get better deals. Disney World annual passholders are frequently given access to exclusive deals. These are some of the better deals the Disney offers, actually, with 25% to 35% discounts being common. If you're looking at a stay for dates they have or usually have a deal, it can make financial sense to get an annual pass to save on tickets and hotels just for a single stay. As with annual passholders, Disney occasionally makes exclusive offers to Disney Rewards Chase Visa cardholders. These aren't often exceptional, they're usually just extensions in dates of publicly available offers (see the Mousesavers table for details). Nonetheless, if you want the full range of offers, you'll want to consider carrying this card. This is the credit card perk we've gotten the most value out of the past two years, and most of it was at Disney. Now, Citi has limited it to two uses per year, but it is still worth knowing about. The Citi Prestige 4th Night Free perk takes 25% off the cost of your first four nights at any hotel, including Disney hotels. $710 through the Walt Disney World website! The rates available in the Citi Thank You portal will vary, and sometimes you won't be able to beat Disney's rates even with the 25% discount. AAA local offices occasionally have Disney hotel deals, but this is rare these days. There are also deals available for Florida residents and those associated with the US Military. 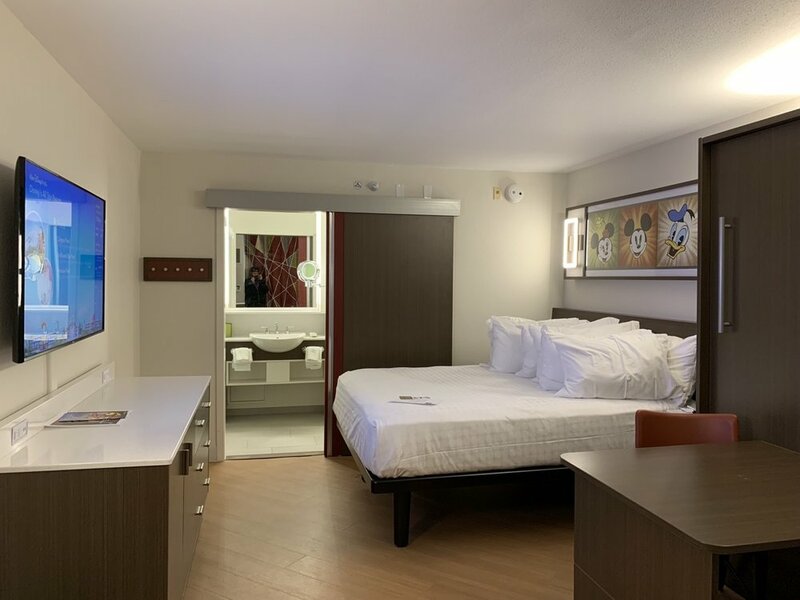 Booking a Disney World stay with Marriott points is a good option for people looking to stay at the Swan & Dolphin. What's your favorite way to save on Disney World hotels?